As the competition is increasing day by day, students can't miss any single question if they want to get selected in WBJEE Entrance Examination 2018. 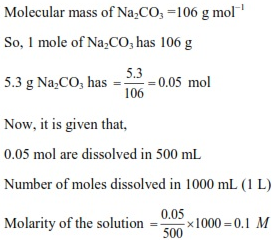 Find chapter notes of chapter Solutions including important concepts, formulae and some previous year solved questions. It will help aspirants in their preparation for WBJEE examination. Chemistry is an easiest subject among Physics, Mathematics and Chemistry in WBJEE Entrance Examination according to most of the students. In this article, you will get chapter notes of chapter Solutions including detailed information about all important topics like types of solutions, concentration of solutions, Henry’s law, Raoult’s law, Van’t Hoff factor, effective molarity etc. About 1-2 questions are always asked from this topic in WBJEE examination. These chapter notes are prepared by Subject Experts of Chemistry after the detailed analysis of the latest syllabus of WBJEE Entrance examination. To make understand the concepts to WBJEE aspirants, some previous year solved questions are also included in these notes. Lowering of vapour pressure is directly proportional to the Van't Hoff factor (i). Thus, BaCl2 has highest value relative lowering of vapour pressure.